Over the past few months holding "Helicopters of Russia" took several important steps to develop the segment of light helicopters, where domestic vertoletostroiteli traditionally lost to foreign competitors. In addition, defined the contours of a future high-speed machines, developed by the holding. 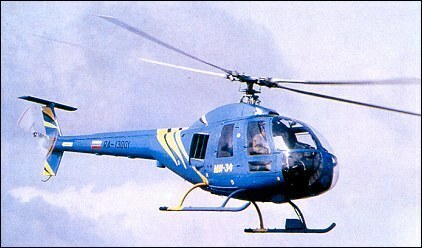 In early September the company received the first order for the civilian light helicopters Ka-226T. This machine with a takeoff weight of 3,600 kg is a further development of the model of the Ka-226 differs from the basic version and engine replacement Rolls-Royce 250-C20B more powerful Turbomeca Arrius 2G1. Initially, the Ka-226T was developed under the requirements of the tender of the Ministry of Defence of India for the supply of 197 light helicopters. Also among customers earlier this helicopter called the Ministry of Defence, Emergencies Ministry and Federal Security Service of Russia. 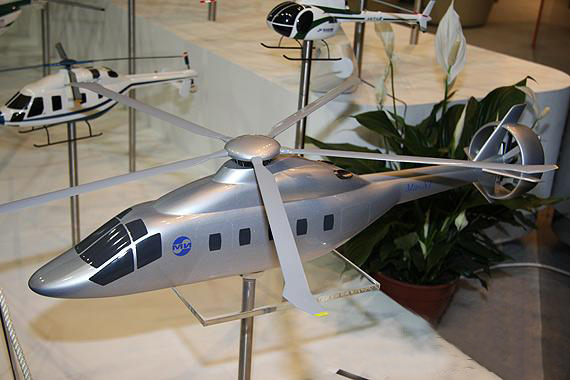 Although the formal contract for 18 helicopters in version Ka-226TG was signed with the Federal Research and Production Center "NefteGazAeroKosmos," the first civil operator of these machines will become the airline "Gaspromavia." 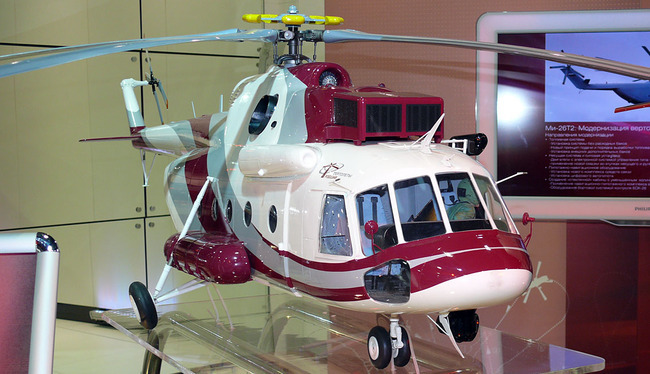 The first six helicopters will be delivered to her in 2013, the remaining 12 cars is expected to hand over to the customer in 2014 "Gazpromavia" plans to use the new helicopters to patrol the gas distribution system and other infrastructure facilities of OAO "Gazprom", as well as for corporate and transportation and maintenance work. Modification of the Ka-226TG was developed in accordance with the requirements of the "Gazpromavia" specifically to operate in the Far North and the Arctic shelf in poor visibility conditions and sudden changes in air temperature. The helicopter is fitted with an on-board equipment of the CCD-226TG, allowing to perform work in isolation from the main base, at night, in fog and precipitation of high density. Another difference from the basic model, the helicopter was the presence of an extra fuel tank, which was due to increased flight range of the helicopter. 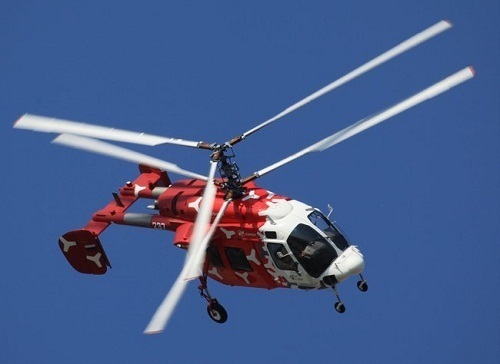 According to the director, "Russian Helicopters" Dmitry Petrov, the cost of a single machine to "Gazpromavia" This set is more than 300 million rubles. This year, the "Russian Helicopters" will, is expected to supply another new model in the lightweight class — 6.4-ton helicopter AW139, that will be collected in the suburban Tomilino on SP HeliVert, create a holding company with AgustaWestland. The first sets were delivered to the assembly in Russia at the end of May this year. In summer, CEO of AgustaWestland Bruno Spanolini told the ATO, that the first two AW139 helicopter assembled in Russia will be delivered to customers by the end of this year. Although the "Russian Helicopters" and AgustaWestland not call the start of the operator of these machines, it is assumed that they can become the airline "UTair" or presidential squadron. 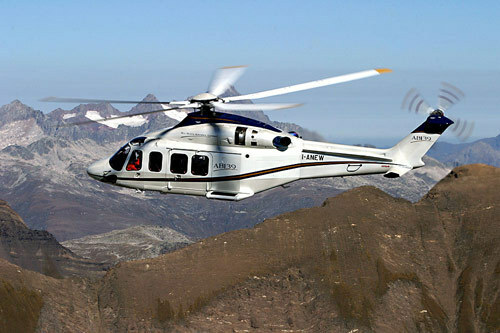 In 2013 Tomilino will gather from 7 to 10 machines, and the design capacity — 20 helicopters per year — the plant will be released in 2015 The plant will provide the growing demand for AW139 helicopters for the civil aviation market, both in Russia and in the countries CIS. that this year, it became clear that cooperation "Helicopters of Russia" with AgustaWestland is not limited only to the Russian assembly AW139. At the air show inFarnborough Partners signed a preliminary framework agreement on joint development, production and sale single-engine helicopter weighing 2.5 tons As explained by Mr. Spanolini, it will be a completely new model, which has nothing to do with the 2.5-ton helicopter AW119 Koala, which now is in the product line of the Italian company. Both parties will participate in a joint program on a parity basis, assuming that the new helicopter will be sold on the world market and is widely used in various fields. On the distribution of responsibilities for this program between Russian and Italian partners have promised to declare a party later. Chapter AgustaWestland not named the date of the first flight of the new machine, explaining that it will take place as soon as possible. Production of the new model will be deployed in Russia. "We have a joint venture with the" Helicopters of Russia ", — said Spanolini — there is enough space for the assembly of the helicopter." Also at the air show in Farbnoro holding company presented the results of the next stage of the program of development of prospective high-speed helicopter. As you know, earlier in the program of the Holding design offices MVZ. Mile and"Kamov" led the development of projects in parallel Mi-X1 and The Ka-92 respectively. The first machine is designed according to the traditional scheme, the second — with coaxial rotors. Sharp increase in the rate of both projects was to be achieved through the use of the tail pushing propeller. At the air show, "Russian Helicopters" was first publicly presented the model of the future helicopter, designated RACHEL (Russian Advance Commercial Helicopter). According to the holding, it must combine the efforts of two design bureaus to develop a forward-looking machine. 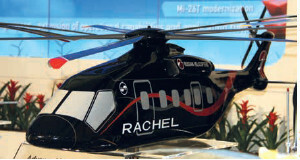 It is assumed that RACHEL will have a takeoff weight of about 10 tons and a passenger capacity of 20-24 people. This helicopter has a traditional layout with a main and tail tail rotor, which suggests that the designers still refused to risky technological solutions. As explained in the "Helicopters of Russia", the increase in speed is supposed to provide with new blades and improve the aerodynamics of the fuselage, but the main priority is not to maximize the speed parameters, and minimize operating costs. According to Dmitry Petrov, the final configuration is a promising machine can be determined by the end of 2013 to the summer testing the new car can start in 2016-2017., Certification of completion and the start of deliveries until scheduled for 2018-2020. It is obvious that the helicopter, based at the prototype RACHEL, will have to replace the main bestseller "Helicopters of Russia" — the family Mi-8/17. 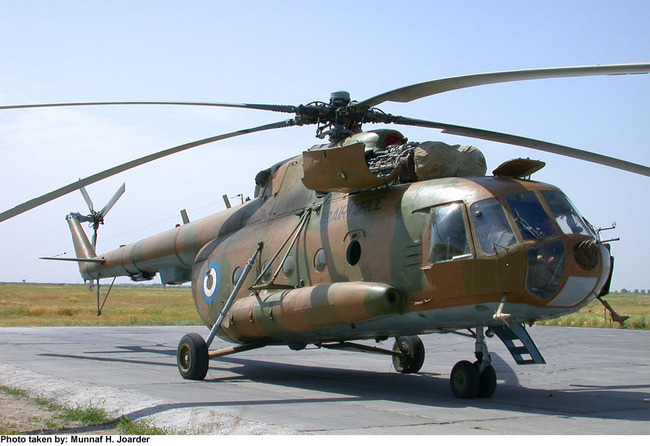 As you know, over the short term, the demand for these helicopters to support the upgraded version Mi-171A2, the development of which is in the process of construction of the first prototype flight. Industry and Trade Ministry has decided to join CB "Kamov" and CB "Mil"
According to the authors of the program "Development of the aviation industry in the years 2013-2025. "Scientific-Technical Complex (NTC) of JSC" Helicopters of Russia "is planned to create on the basis of CB" Miles "and" Kamov "" in order to reduce the time and cost of development of helicopters. " 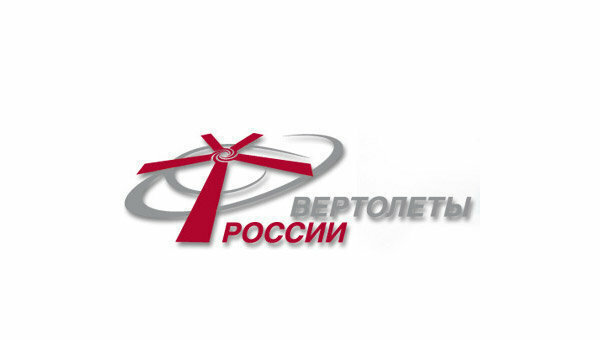 It is fairly safe to assume that the idea of combining the two major helicopter KB agreed with management OPK "Oboronprom" and its subsidiary company "Helicopters of Russia". Such a move is quite logical, since it is no secret that over the past 20 years, both CB lost much of its staff, and the trend is that in the short term nor CB "Mil" or CB "Kamov" will be unable to implement a major project in the helicopter. It should be noted that the program Minpromtorga essentially there is only one brand new project — a Promising medium helicopter (PSV), which, apparently, will soon receive the designation Mi-37. This project, first presented to the public at the air show "Farnborough 2012", also has the designation B-37, and RACHEL (Russian Advanced Commercial Helicopter — Russian commercial helicopter perspective). Guidance on the application of the holding company "Helicopters of Russia", the I-37 join forces to develop two KB advanced helicopter in the program PSV. 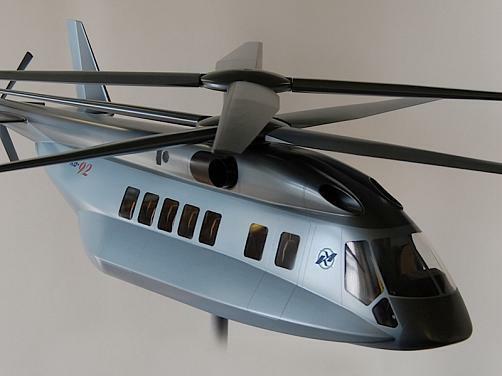 In the car-37 will have a takeoff weight of about 10-12 tons and can carry 20-24 people or 3.4 tons of cargo at a cruising speed of 350-370 km / h It is assumed that the final configuration of advanced helicopter V-37 will be determined by the end of 2013 to the summer testing the new car may begin in 2016-2017., Certification of completion of the helicopter and the beginning of his first deliveries to customers scheduled for 2018-2020.